18K gold and solid sterling silver ring with Smoky quartz gemstone by Elefteriu Jewellery. 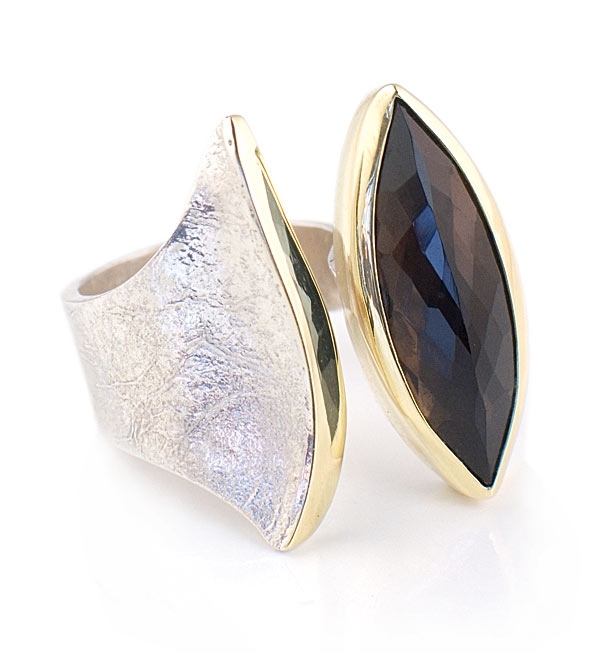 This striking designer ring features a sculptural shape realized in sterling silver with the Elefteriu signature crinkled texture and a 25mm x 8mm smoky quartz semi-precious stone. Stone is set on 18 karat gold with a corresponding 18 karat gold line on the opposite side and the highest point measures 2.8cm.